There's no point improving the implementation of a bad idea. I guess we're technically in spring up here in the northern hemisphere. I suspect that people in various parts of the country other than Seattle are not so sure of that. But we did pass equinox, so at least daylight is on our side. I have a couple of new-to-me words this week that pertain to current-type events. The first is data sleaze, a term invented by Kaiser Fung, a statistician who works in the advertising business. He defines the expression this way: "data about [a company's] own customers that are obtained secretly by businesses, and then sold to the highest bidders, also in secret transactions." He adds: " The production of data sleaze is frequently justified by giving services away for 'free.'" A few people use the term, but they still reference Fung's blog posts about it—it hasn't broken free from where it was first defined. Or to put it another way, Fung hasn't quite made data sleaze happen. Still, given recent events and some promotion by Fung himself, it might get a little traction. A second term arrived via Nancy Friedman (@fritinancy on Twitter), who alerted me to the word testilying (testifying+lying), which refers to the police giving false testimony. Per an article from 1994 in the New York Times, this term was invented as police slang. A spate of recent articles has put the term into the news in the last week. I always wonder whether a term that's based on wordplay will stick. But this one has been around for at least 25 years. I also think it fills a niche as a verb. We have something like perjure oneself to specifically mean lying under oath, but that feels legal-ish and is in any event sort of clunky. In contrast, testilying captures both the lying part and the "under oath" part. Granted, testilying doesn't capture that the perpetrator is a police officer, which is a part of the definition: in Wikipedia, testilying redirects to the page titled Police perjury. Ick. Let's talk word origins instead. I sometimes listen to a radio program called The Score, and I eventually got around to wondering why we call movie music the score. Well, in the beginning was score to mean a cut or mark or scratch. (In this sense, it's related to shear.) From there it developed the sense of a drawn line, which we still have in underscore, and in the verb sense of scoring a piece of paper or other soft material. (Individual musicians have only their parts; the conductor has the score.) The theory is that this notation was the "score" because of the practice of "connecting the related staves by 'scores' or lines continuing the bars." 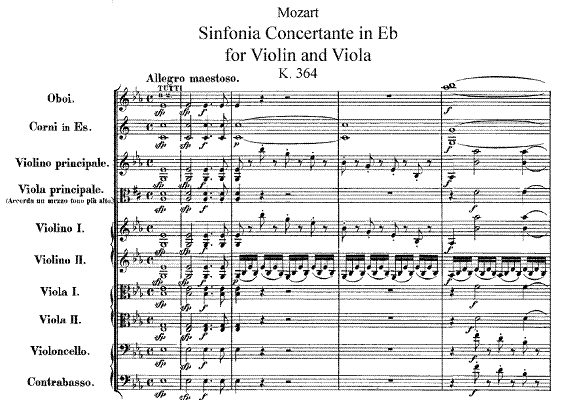 (OED) So basically, a score is a score because of lines (scores) on the music. And finally, from "complete musical notation of a piece" the word score came to mean the collection of music for a movie or other entertainment. From scratch to soundtrack, cool.